A study conducted by researchers from Perelman School of Medicine at the University of Pennsylvania found Uber’s services did not result in fewer total crashes or serious crashes overall in four cities: Las Vegas, Nevada; Portland, Oregon; Reno, Nevada; and San Antonio Texas. The researchers chose these cities because Uber launched there, ceased operations for a period of time, and then resumed operations. Uber’s insurance policy covers both the driver and the passenger(s) during a ride. The company’s policy covers the driver’s liability to third parties, which could be the passenger(s), someone in another vehicle, a cyclist, or pedestrian if the Uber driver causes an accident. The coverage limit is up to $1 million for personal injuries and property damage. If you suffer any injuries while riding in an Uber, you should speak with an experienced San Francisco personal injury lawyer right away. Who was at fault will matter to your claim. Did the Uber driver cause the crash? Was the Uber vehicle struck by another car or truck? 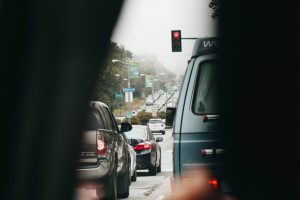 If another driver, unrelated to Uber, was the cause of the collision and your injuries, then your personal injury attorney will guide you through filing a claim against that at-fault driver’s insurance policy. However, if the Uber driver was at fault, you may have a more complex claim ahead of you. Uber has a significant insurance policy intended to cover collisions caused by their drivers. However, Uber as well as its auto insurer will always look out for their own bottom line. They will not simply hand out $1 million claims. Like all insurers, they may strive to pay as little on claims as possible. Having an experienced personal injury attorney by your side protects you from low-ball settlement offers. It also puts you on more even footing with large companies and insurers who will have a team of their own lawyers and insurance experts. After being hurt in an accident with an Uber driver, contact Brod Law Firm to learn about your options for recovering compensation for your physical, psychological, and financial injuries.